Sharla White, highly sought-after medical aesthetician and international skincare educator! 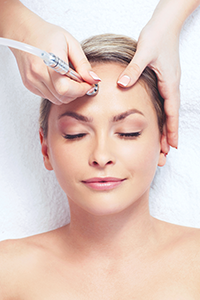 It is designed to provide visible results in a single treatment, with no downtime. Sharla's love affair with skin began 13 years ago when she served as a Manager and Artist with MAC Cosmetics and realized makeup cannot hide unhealthy skin. During that time, she developed adult on-set cystic acne. On the quest to find a solution, she discovered the world of Aesthetics and became a Licensed Aesthetician. Her passion to understand the pathology of common skincare concerns led to deep research and a strong command of ingredient knowledge. She served as Global Education Manager for a cosmeceutical skincare line, where she traveled domestic and internationally educating physicians, nurses and aestheticians on advanced skincare treatments and homecare offerings. Motivated to further herself in the medical aesthetic field, she graduated as a vocational nurse and is currently pursuing her BSN. Sharla specializes in addressing the signs of aging, uneven skin tone, acne and rough texture. She employs several modalities such as DermaPen, Epidermal Leveling (Dermaplaning), Microdermabrasion, Chemical Peels and Medical grade facials. 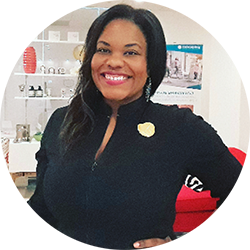 She customizes each treatment to address your specific concerns and designs a homecare routine that fits your lifestyle and helps you reach optimal skin-care goals. Sharla enjoys spending time with her loved ones, reading, traveling, painting and salsa dancing. "Tatiana and her team are fantastic in every way! I have been seeing her for more than 6 years for botox and filler and would not go to anyone else..."